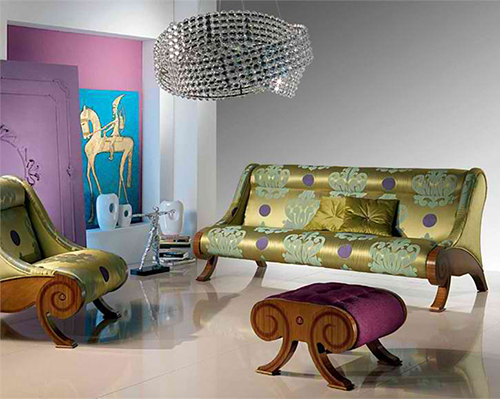 Carpanelli stuns us again with the furniture design ideas of their Glamour collection. Sensuous curves, in the padding and woodwork, characterize each piece. These curves are highlighted by the intricate inlay work of different types of wood, responsible for the visible “Fibonacci spiral” patterns. The Glamour collection is comprised of a sofa, an armchair and a footstool. The sofa is available in 2 or 4 seater versions. All items can be custom upholstered for your own unique expression. Visit Carpanelli for more info on home interior and other home decor products. Now, here’s an innovative take on the “table lamp”! 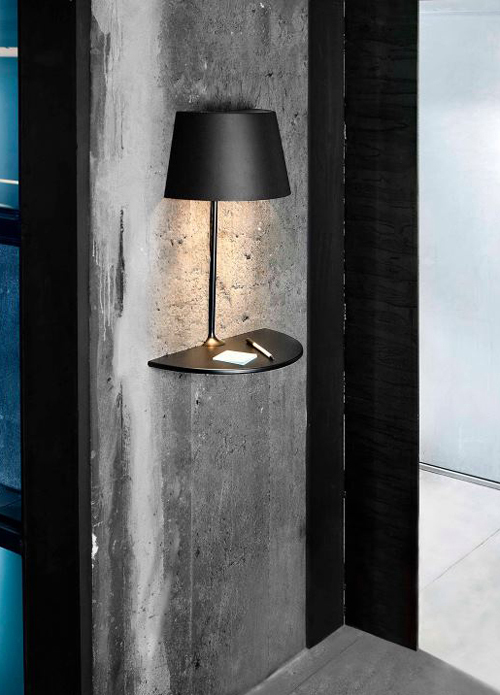 The Illusion Lamp by Northern Lighting incorporates the lamp and the shelf in one, allowing for the dual function of illumination and an added surface without eating up any existing floor and table space. Available in a wall-mounted and pendant lamp option, Illusion comes in shiny white and matte black finish – equally modern, equally attention-grabbing in your designer homes. A stylish spot to drop your keys by the door or set your drink, these wall and pendant lamps are an uber-cool addition to any contemporary home interior design. More info is available by visiting Northern Lighting. 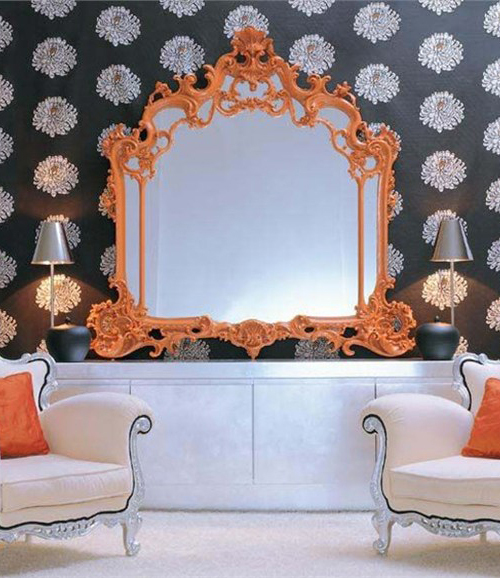 Creazioni gets trendy and playful with their Baroque inspired framed mirrors. Bright, bold colors give them a fun modern appeal while the classic embellishment keep them chic and classy to fit in the interior design of your beautiful homes. Actually, Creazioni noticed a growing trend in the interiors world – baroque style frames in bright colors – whether it be picture frames or bed frames and head boards. They went with it and applied it to mirrors. The mirrors you see here are Miki, Baby and Emma. Each unique yet each making a modern statement inspired by a classical style. Visit Creazioni to learn more on interior decoration and house plans.